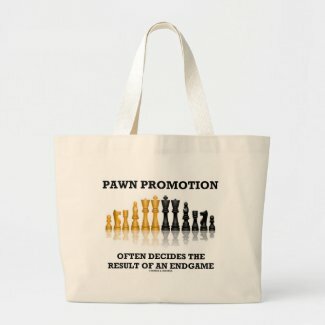 Do you think about the endgame when playing chess? 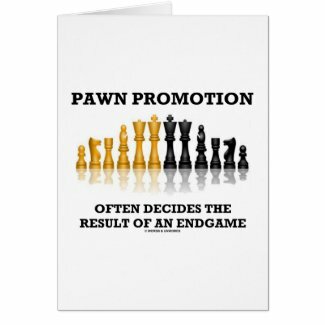 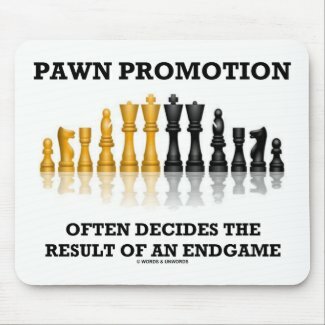 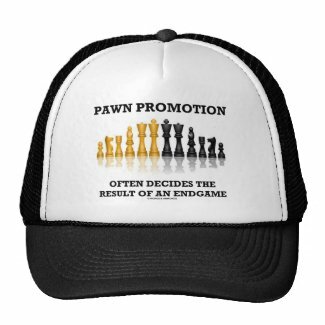 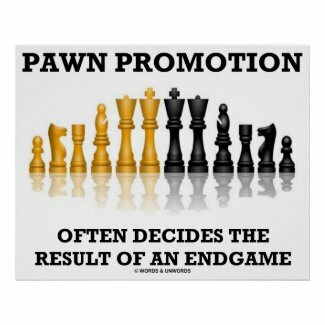 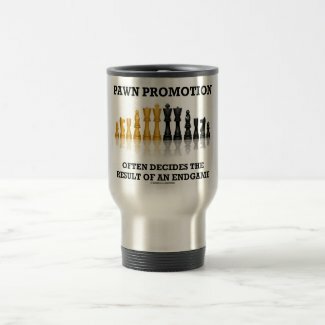 Chess players will enjoy any of these gifts featuring a reflective chess set along with the saying "Pawn Promotion Often Decides The Result Of An Endgame". 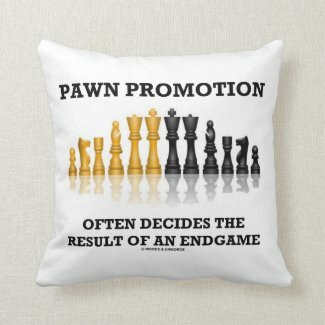 Make others do a double-take at what really matters in the end in the game of chess today with any of these chess truism saying gifts! 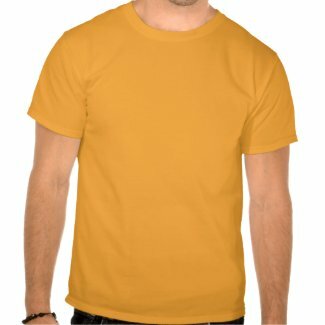 Create your own photo stamps.